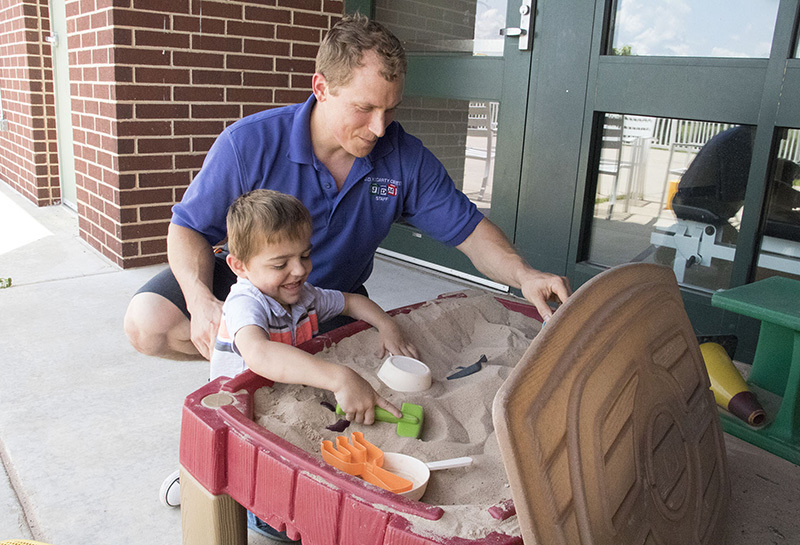 The McCarty Center serves children from birth to age 21. 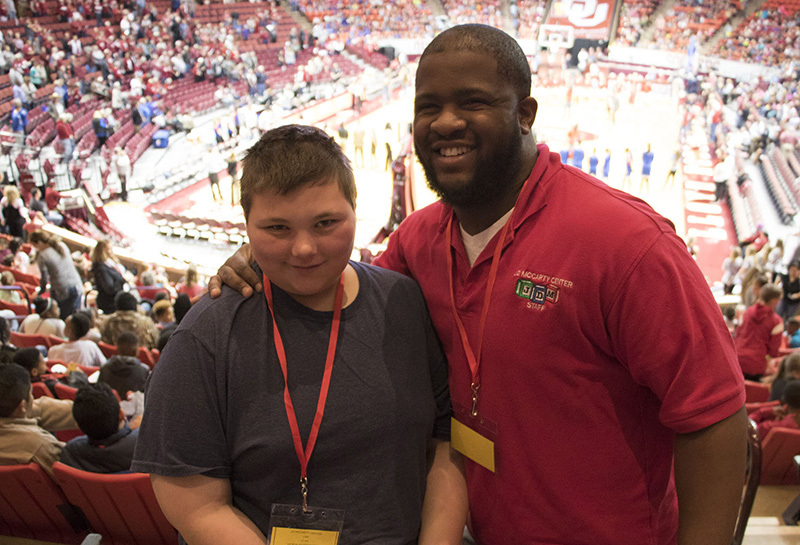 Our services are tailored to meet the unique needs of children with developmental disabilities and are designed to improve their skills and confidence and promote independence. We also work with families to provide them with information and support. We have a team of physicians, nurses, therapists, direct-care specialists, psychology clinicians, nutritionists and insurance specialists who are ready to assist our patients and their families. We offer a free therapeutic screening that provides families with the opportunity to meet the center’s screening team that includes a pediatrician, nurse, psychology clinician and social worker. Families receive a tour of the center and learn about our services and state and federal programs that can benefit their child. Assist a family with determining what educational needs a child may have and how to work with that child’s school to meet those needs. Connect families with parent support services. Offer guidance to parents about managing behaviors and answer questions about medications, such as benefits and side effects. For more information about the free screening, call our social services department at 405-307-2800. 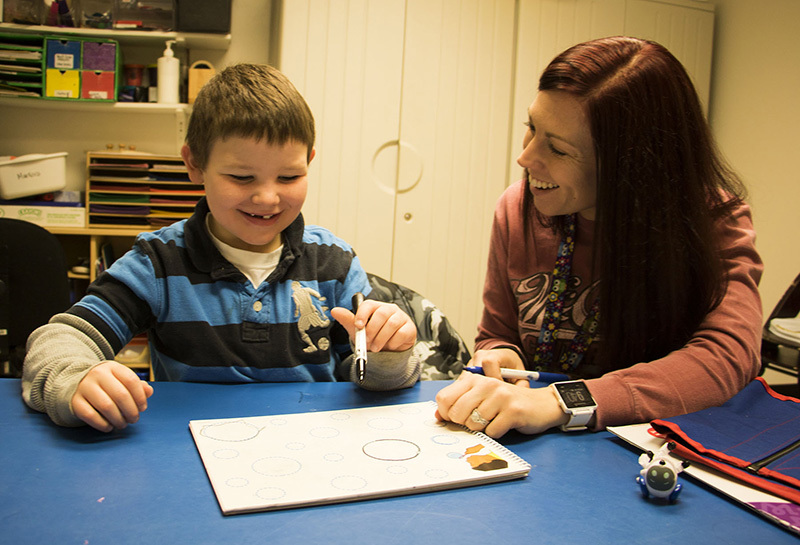 We have a team of physical therapists, occupational therapists and speech-language pathologists who identify a child’s current abilities and develop treatment goals that are designed to maximize a child’s potential and enhance his or her quality of life. Our occupational therapists help patients work on daily living tasks and improving motor, cognitive and social skills. Other services include work with sensory motor activities, fine and gross motor activities, vocational abilities and functional movement. Our physical therapists work with patients in such areas as gross motor milestones, balance, coordination and reflex development, joint mobility and flexibility, muscle strengthening, post-operative care, therapeutic exercise, gait training, wheelchair training and community mobility training. Serial casting and assessment for durable medical equipment also are offered. 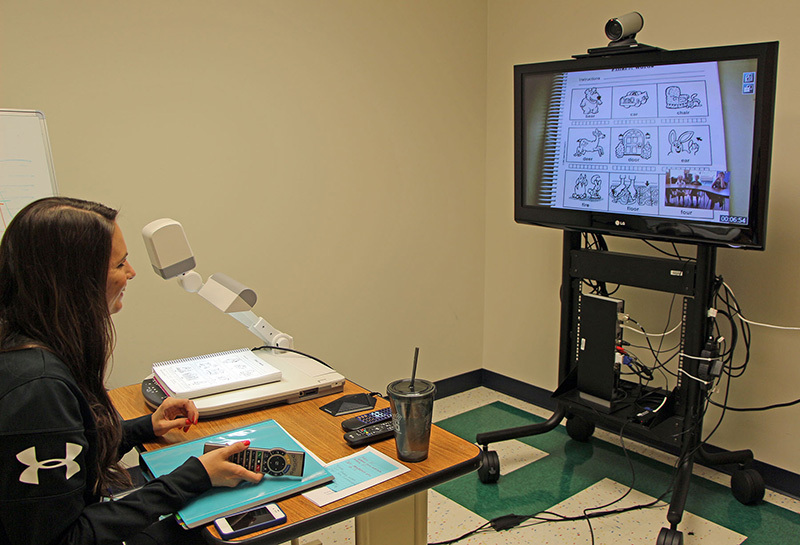 Our speech-language pathologists work with patients on receptive and expressive communication, augmentative communication, literacy skills, speech fluency, social language skills, hearing screenings and feeding and swallowing. We also offer a variety of therapy groups for inpatients, including adaptive sports, animal therapy, aquatic therapy, cooking and photography. Our dietitian evaluates and monitors feedings and offers education and counseling to patients and their families. Our clinical psychologist and psychological clinicians evaluate the emotional and psychological needs of a child, address behavioral concerns and recommend programs and strategies to assist families and guardians. Our social workers help identify objectives for patient treatment plans, connect families with resources and lead meetings between families and interdisciplinary treatment teams about a child’s progress. Our staff of specialists includes three pediatricians who monitor and address the health care needs of our inpatients. Our nursing staff offers 24-hour care for inpatients who stay in six hospital units. Our nurses monitor each patient’s health and work with therapists to develop a plan of care for each child. 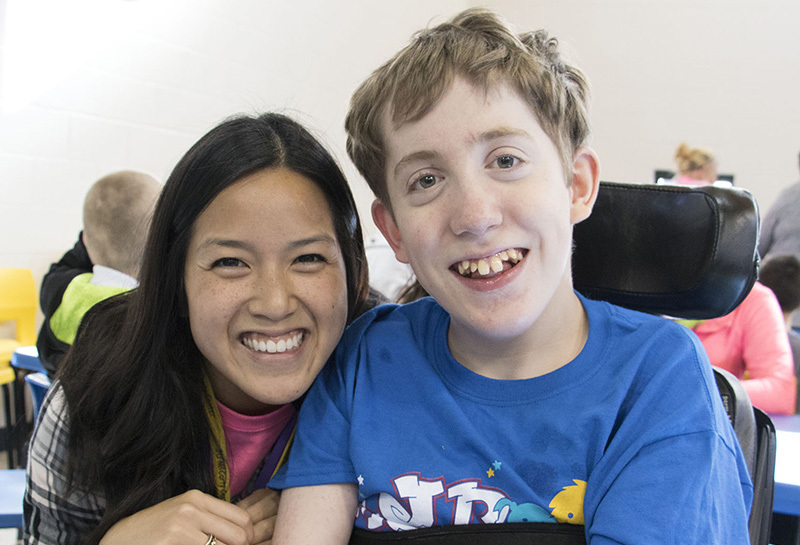 Our direct-care specialists assist patients with living skills, implement patient care plans that outline a child’s medical and behavioral needs, take patients to scheduled therapy sessions and supervise them on field trips. The center also offers specialized clinics, including audiology, equipment, orthopedic, vision, neurology/behavior and an ear, nose and throat clinic. 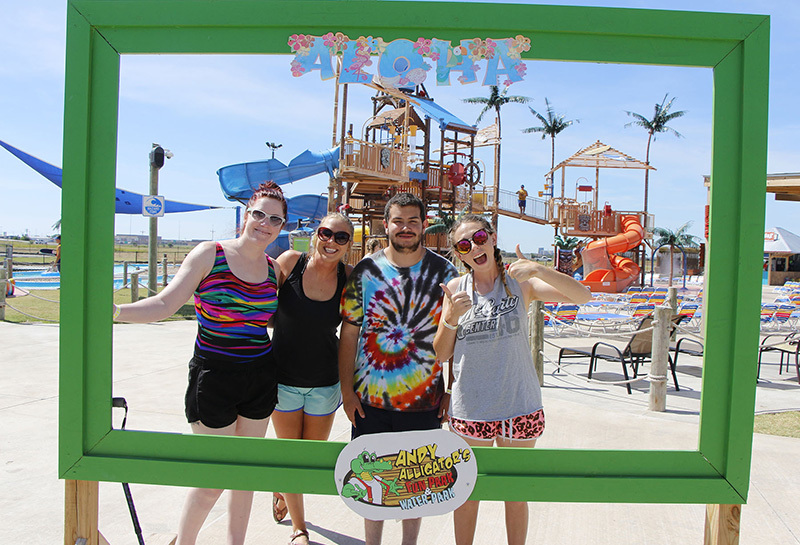 Our recreational activities specialists host a variety of exciting activities for the patients that include bowling, swimming, dances, movies or field trips to the zoo, fairs, museums and sports events. We also host group activities between our patients and volunteers from the community, such as athletes, marching bands, student groups and community organizations. We offer a program to provide families with a brief break from the daily routine of caring for children with disabilities. Respite care is an inpatient program and, while here, children have the opportunity to participate in recreational activities, such as field trips. The respite program is available to families for seven days, one time per year. It is funded by a federal grant. For more information about the program, call our social services department at 405-307-2800. 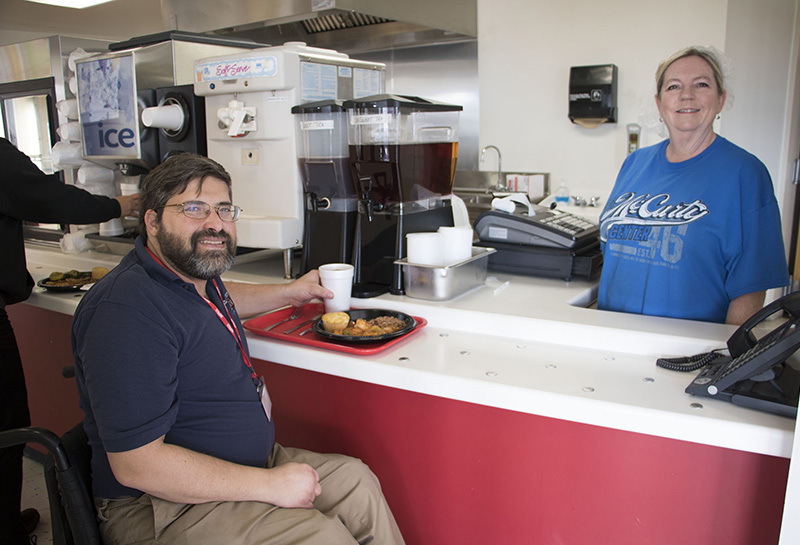 We contract with Norman Public Schools to provide teachers on our campus. Patients attend school when they are not in therapy sessions.